Springing for a luxury SUV doesn’t mean Milton drivers have to compromise utility. In fact, exploring the Mercedes-Benz GLE utility features and capabilities will prove this is exactly the case. When the back seats of the Mercedes-Benz GLE are folded flat, you’ll have access to more than 2,000 L of cargo space. This innovative system comes optional on every Mercedes-Benz GLE model. It sends torque to the wheels that need it most, depending on the road conditions at hand. When properly equipped, the Mercedes-Benz GLE can tow up to 3,266 kg. At the top of the lineup is this performance-oriented model, which boasts a V8 capable of churning out 577 hp and 561 lb-ft of torque, 21-inch wheels, and active stabilizer bars for ultimate control on the roads. 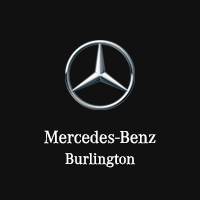 Finance the Mercedes-Benz GLE at Mercedes-Benz Burlington today! Want more info on the Mercedes-Benz GLE? Compare it to the Mercedes-Benz GLS with this helpful guide.